When it comes to souvenirs, there’s nothing scarier than those silver tourist teaspoons with a picture on the end… Put those away quietly and take out something still very Australian and much more beautiful: an Alperstein Plate. 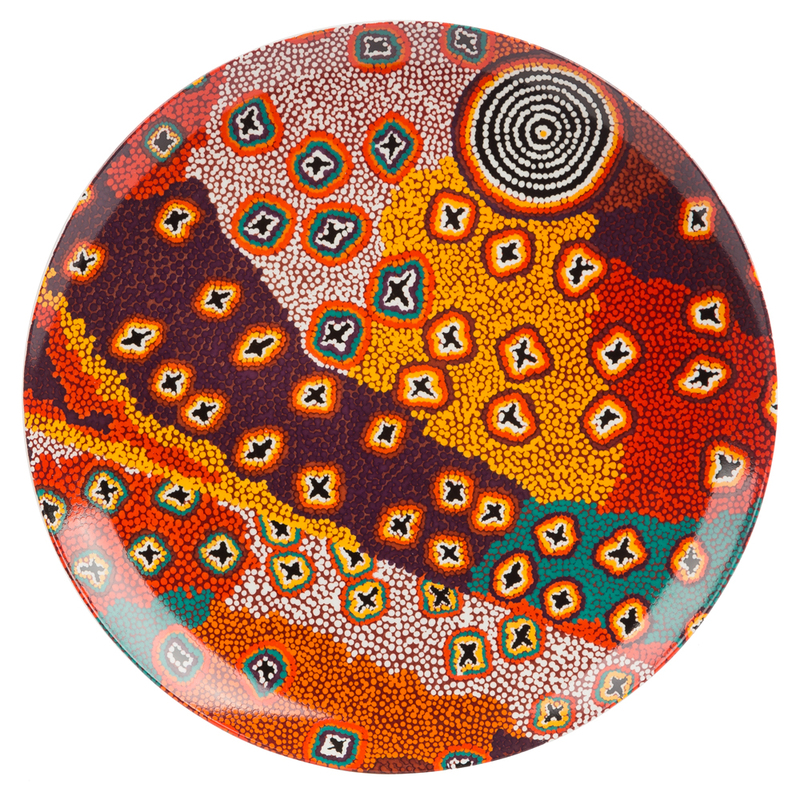 Made from fine bone china, this lovely plate is decorated with a beautiful artwork from Ruth Stewart, it is the perfect piece to showcase at your next dinner party, and can even serve as a traditional display piece for your home. Designed in Australia, based on an artwork by Ruth Stewart. Beautifully packaged in an Alperstein Designs Box.